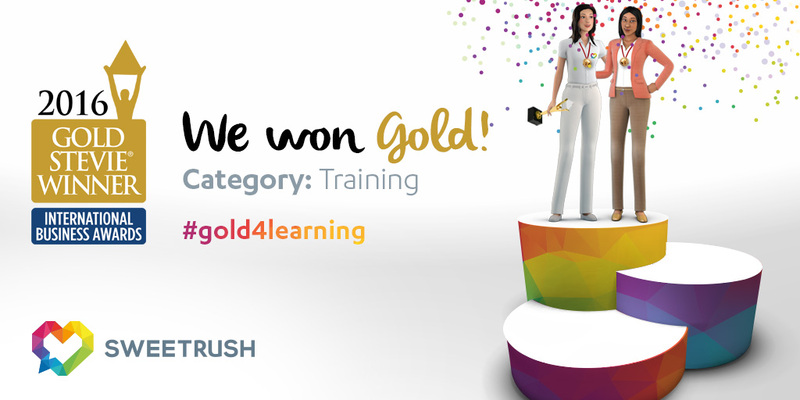 SweetRush and Cisco win the only Gold award in the Training Video category for inspiring and impactful video communication. San Francisco, California., August 11, 2016 — SweetRush, Inc., in partnership and collaboration with Cisco Systems, Inc., was named the winner of the only Gold Stevie® Award in the Training Video category at the 13th Annual International Business Awards. More than 3,800 nominations from more than 60+ nations were reviewed in the International Business Awards. Stevie Award winners were determined by the average scores of more than 200 executives worldwide who participated in the judging process.